Handibot – Why You Shouldn’t Miss This App Driven Power Tool? Handibot is a powerful CNC tool. This portable tool is integrated with a software part as well, which can be run on any tablet or PC running Windows operating system. They have designed this as tomorrow’s smart tool. The app can be handled from a smartphone as well. This tool is perfect for DIY projects as well as professional work. Usually, CNC mills are not known as portable ones and this tool is an exception. The usual CNC mills are as huge as big trucks. To change this scenario, a company named ShopBot Tools has come up with small, portable CNC mills known as Handibot. Let’s learn more about the Handibot. It is a three-axis mill that can be controlled using an app running on tablet, desktop computer or smartphone. How do you work with this tool? The first part is to design whatever you are planning to drill, cave or cut in the app. As stated before, they don’t function like the traditional CNC equipment. When it comes to the traditional big mills, you bring the material to the machine. Here in the case of Handibot, you can carry it to the material, wherever it is. Or in other words, you have lots of flexibility here. Material can be anything, be it wood, plastic, aluminum, etc. You can effortlessly carry it around to various places. This machine is still in its evolving stage and we’ll see some really cool designs in the future. If you ask me to put it simply, I would say it is a smart tool. This is a digitally-controlled new tool that is still evolving. You can use this power tool for a number of purposes, including drilling, carving, cutting and many other similar operations. We use industrial CNC tools everywhere and you are already familiar with this. CNC stands for Computer Numerically Controlled. 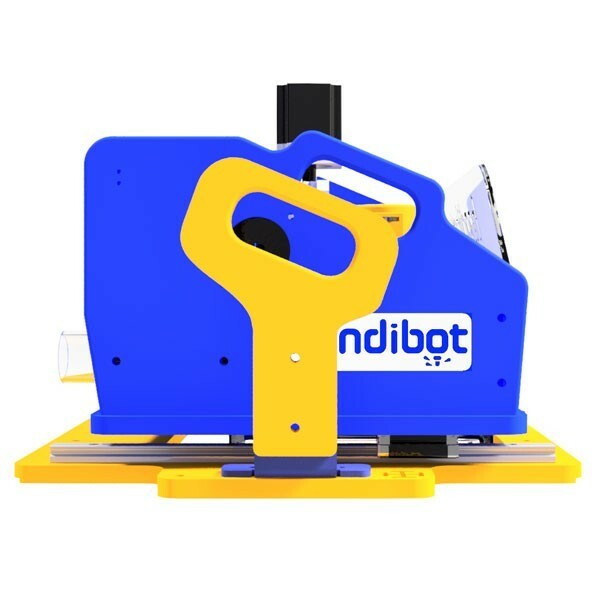 Handibot is the same as a CNC mill; just that former one is portable and small. The convenience is the biggest aspect of this machine. You can use it wherever you want, be it on the floor, ceiling, the table, the wall, etc. The software will help you to accurately design your project. Also, it will ensure the precision in cutting, carving and drilling. Once you press the start button, you will have a smooth ride ahead. You can compare this machine to the “3D Cutter” or “3D Printer”. The Handibot is equipped to deal with all sorts of material including aluminum, plastics, wood, composites, foam, etc. The efficiency and precision are the biggest assets of this small machine. Also, the digital control gives it an altogether new edge. As we have stated before, the software is the most important aspect of this machine. Let’s see how you work with the software. You will need the apps specially designed for this machine. You can download the app needed for the specific task and install it on your smartphone, tablet or PC. After downloading and installing the app, you will be entering the settings of the app. Let’s take the simple example of cutting a hole of any size. There is an app available for this specific task. Here is how you will deal with this particular scenario. First, you will open the app on your device. Then you will enter the depth and diameter of the hole you intend to create. Then you select whether you want to cut through the material or pocket out the area. And finally, you simply press the Load button. Now this information will be sent to your Handibot. You will position the material inside the Handibot and you will press the “Start” button. The machine will do the rest of the work. At the end, you will have the desired result with efficiency and precision. This machine has capable of doing incredible tasks. Be it complex shapes, curves, arcs or 3D forms, this machine will do a neat job. So this machine is equipped to do lots of special tasks. Repeatability and precision are big qualities of this machine. When it comes to the tasks, it can do unimaginable range of tasks. What will you do if you have a bigger work area? You can make use of the intelligent systems and jigs to register the tool on the larger work area. This project is growing bigger by the day. For the same reason, they have taken the route of crowd funding to ensure that this project reaches its potential. They opted for crowd funding mainly because of the fact that the software applications require bigger participation and expert input. The crowd funding was done on Kickstarter. The parent company is a small manufacturing company and they don’t have enough money to fulfill this dream project. They want to develop an efficient tool that has no limit. For that, they want to gather help from all quarters possible. As you can see, this project has a huge potential and they just need more funding and support to build it the way they envisioned. They are targeting a sum of $ 1,250,000 on the crowd funding platform. They have an excellent vision for the future of this amazing tool. They have used amazing engineering techniques to ensure that they have the best design possible for it. They plant to use the digital fabrication techniques extensively. Most of the parts are produced on digital fab equipment. They have used other CNC tools as well in fulfilling their vision. Or in simple words, you can produce the parts of a Handibot using another Handibot! That suggests that this product is self-upgradable as well. However, for large scale production, they are planning to use larger CNCs. This is a unique machine with immense potential. You can carry it to your workplace as it is portable. Above all, the apps will give you immense freedom to design the parts in the way you want. All these factors make it must-have equipment for your job site or your DIY project. Recently Sony Mobile communications introduced a slim, sleek and stylish high performing premium phone Xperia Z3+. Sony has worked hard to provide superior camera technology (front and rear) , premium water proof technology and long lasting battery for gaming or work. 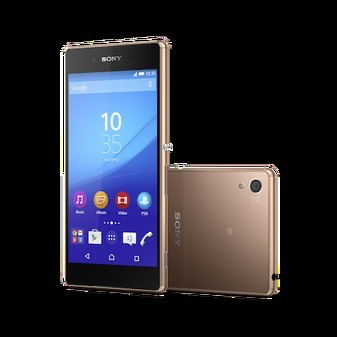 All these features are packed in slim and stylish design mobile. 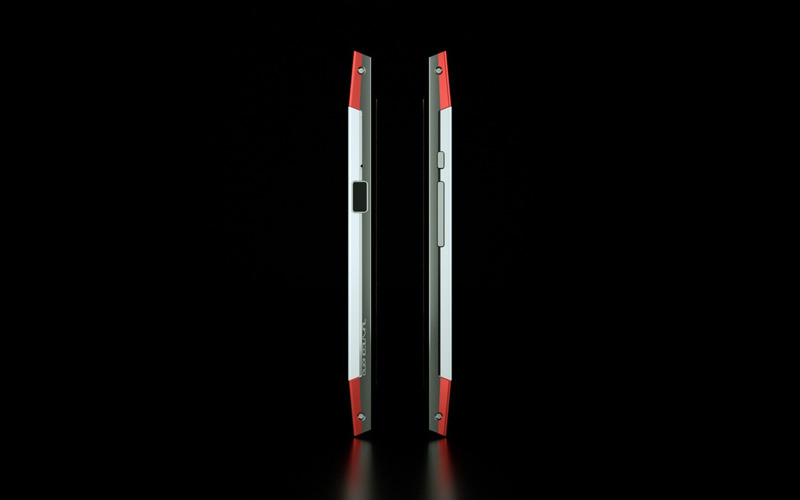 Coming to design, Its slim (6.9mm), lighter (144g) and expertly crafted. 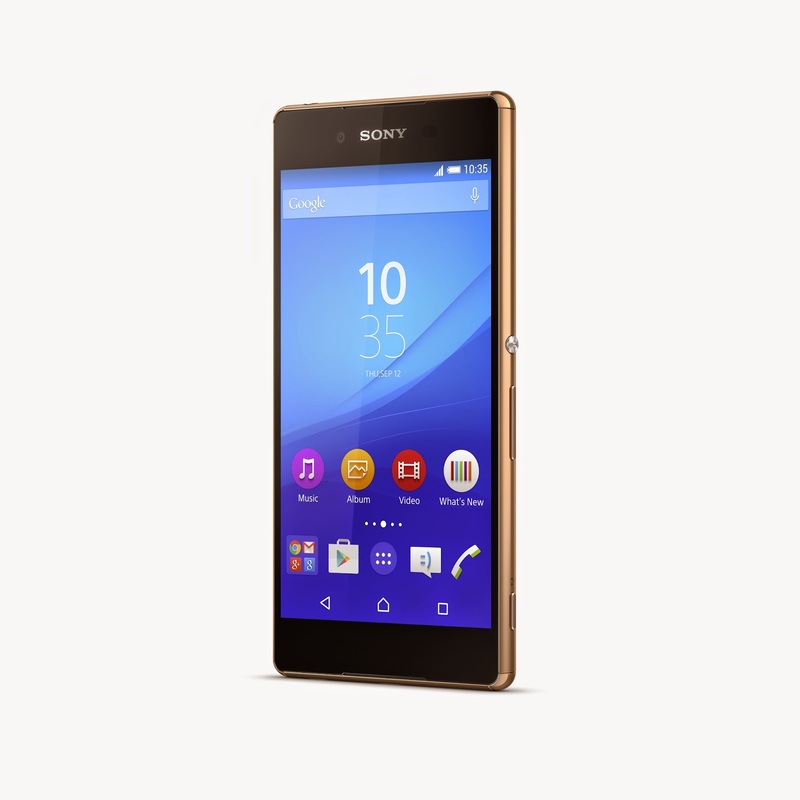 Further design refinement Z3+ features a capless USB port making it easier and more convenient to charge your phone. In addition the magnetic charging pin has been removed, resulting in an overall more seamless and minimalist design. With a shiny finish on the metal frames, tempered glass and rounded edges, Xperia Z3+ is beautiful to look at from any angle and comfortable to hold. Video below claims that the battery lasts for two days which is quite impressive. The pace of life is increasing with each passing day. This increase means that people need to be reachable for the better part of twenty-four hours each day. As a result, there are very few places in the world where there is not at least some type of cell reception. Some areas are not as strong as others though and could use a mobile repeater. 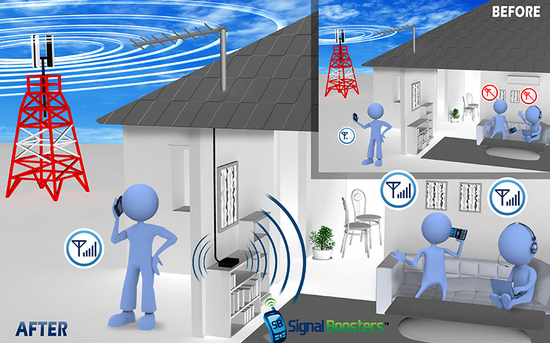 your next mobile signal booster, it may help to keep a few factors in mind. While technology is something that many societies in the world cannot survive without, it is not always cheap. When searching for a mobile repeater it is important to keep cost in mind and set a budget before purchasing a system. After setting a budget for the purchase, the next major decision to make is where the mobile repeater will be located. There are two places the repeater is typically placed. One is in a building such as an office or house. A repeater here could help you ensure there is a strong signal at your location. In terms of a home, this means you the home owner can have a good signal wherever you happen to live including on top of a mountain. The second building that may need a repeater is an office building. Besides a building, the other location where this technology can be useful for you is in a vehicle. If you drive long distance trucks or have an emergency vehicle it is important to always have cell access. This is why the repeaters are a good idea. After choosing the location where the mobile repeater will be placed, it is time to choose the style. A desktop unit will be a good choice for office or home settings. Just make sure that it is placed high enough to have a clear a signal. It is also important for you to keep them away from other equipment that may interfere with its function. If you are going to place the unit in a vehicle, you are going to need something smaller that is just as reliable. The first type available for vehicles is the cradle. This can serve two functions for you. It will boost your cell signal and give you a place to store your phone. The second style here is a small broadcast type station. Regardless of the location or style of the system that you will be purchasing remember that you will need two pieces. The first is the base unit. The second is the antenna that will serve to boost and then broadcast the mobile signal. Turing Robotic Industries has come up with an innovative and world class security providing phone. We have cutting edge technologies phones in market but they lack tight security. There is a chance that personal data can be misused or tapped in midair. Turning Phone is bit different than normal phones. 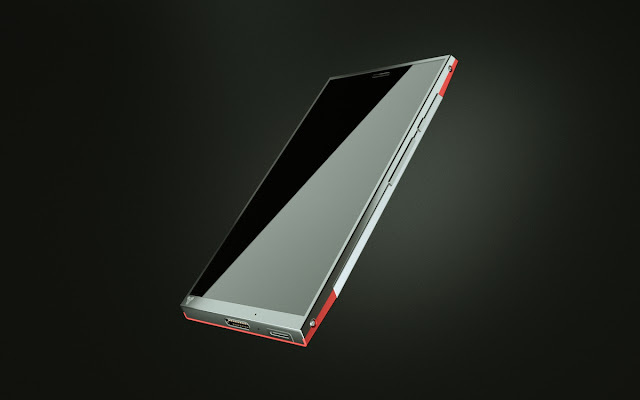 Company states that the Turing Phone provides world-class security by executing end-to-end mobile authentication which bypasses conventional 3rd party exposures and is insulated from malicious behaviour. It is a revolutionary liquid-metal phone that not only redefines phone engineering, it also paves the way for trustworthy communication. Turning Robotic Industries have totally changed the way how phone communicates. The phone uses protected communications network that is entirely insulated from cyber threats and privacy intrusions.So there is no need to worry about the personal data being tapped or intercepted midway. Main asset to this mobile is the built with a pioneering material called Liquidmorphium, an amorphous “liquid metal” alloy tougher than either titanium or steel - so what’s in your hand is as strong as your privacy protection. Apart from the hardware, this stunning phone runs Android 5.0 Lollipop with 5.5 inch screen and resolution 1920x1080 full HD. With 13 mega pixel rear camera and 8 Mega pixel front camera. Battery capacity is 3000 milliamp-hour (mAh). Having Qualcomm Snapdragon 801 process with 2.5GHz quad core Krait graphics, this mobile comes with 3GB RAM. Coming to memory storage, its available in 16/32/64 GB. Comes with a fingerprint sensor located on the side and magnetic charge (No microUSB port for charging). Last but not the least, this phone is waterproof. A Binnacle Ocean Master nano-coating allows the phone to be submerged in 30 feet of water. Specs are great but not as amazing as the competitors like Apple and Samsung. What you guys think ? This Phone will be available for pre-order on July 31 in three models: 16GB ($610), 64GB ($740) and 128GB ($870). Before talking about this car, we need to know a bit about Elon Musk who started Paypal and sold it for millions, later started three companies Telsa Motors, Space X and Solar City. Recently, Telsa Motors (well known for electricity charging cars) have released stunning snaps of Model X which looks to be much awaited car. Design wise it looks stylish and perfect. The doors which looks as bird wings are adding extra spice to this car. Currently Tesla Motors seem to be working hard on this card and its Estimated delivery is in late 2016 for new reservations. Requires £ 4,000 as Reservation Payment. This product is captioned as "Unity Meets Performance". 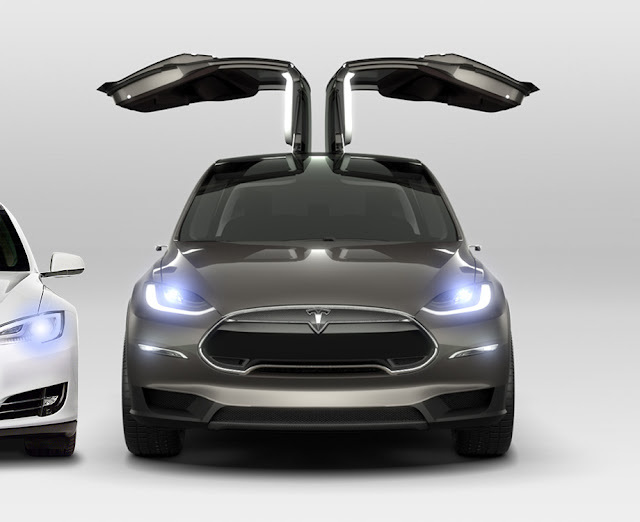 Model X combines the space and functionality of a seven seat sport utility vehicle with the uncompromised performance of a Tesla. Every Model X comes with all-wheel drive standard, powered by two independent, digitally controlled electric motors. Brilliantly functional Falcon Wing rear doors fold up and out of the way to allow easy access to third row seats. More details will be announced as production nears. Apple faced criticism during initial days of iPhone 6. Many customers complained about iPhone 6 getting bent when you place it tight pocket. Looks Apple has taken this as an idea and applied its creativity to come up with a curved flexible screen iPhone. There is no way to complain isn't ? Apple is planning to replace the the iPhone's current LED-backlit Multi-Touch display with a new organic light-omitting diode (OLED) screen - also used in the Apple Watch. Looks Apple has already patented this design and working on this technology to release it in future. This will be a flexible electronic device with a flexible display and more rigid components. Hope one day we will get flexible and transparent devices in a single pack which is currently a proof of concept. If you are too lazy to walk or finding a way to go out without walking, then this product is for you. In our daily life we spend some time walking from one place to other. Walking is really good for health. But if you have to reach the destination in less time, either you have to run or find a transport to reach there. As technology is advancing, many innovative ideas are taking their shape into real products. 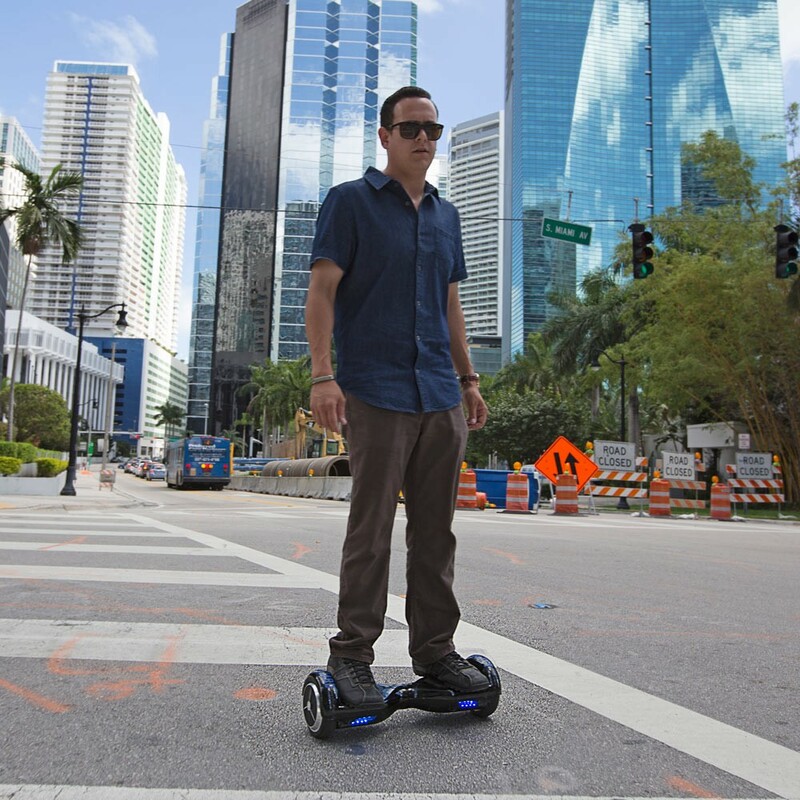 Airwheel Airboard is one such product. 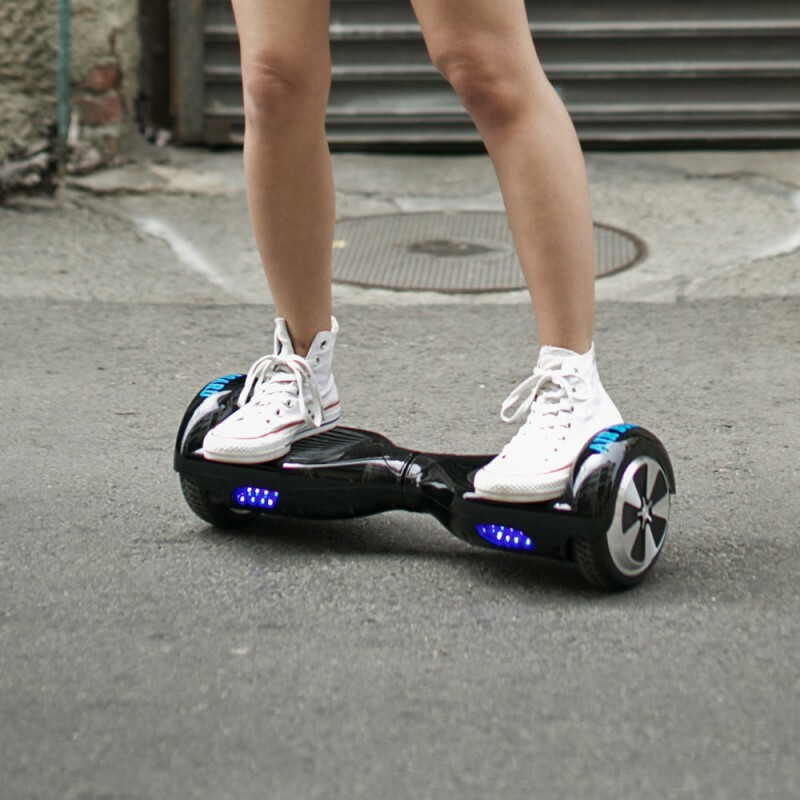 This is a cool looking and awesome transport device which allow you to effortlessly travel from one place to another with minimum effort. You just need to stand straight up with a tough of leaning here and there to steer Airwheel Airboard in right direction. 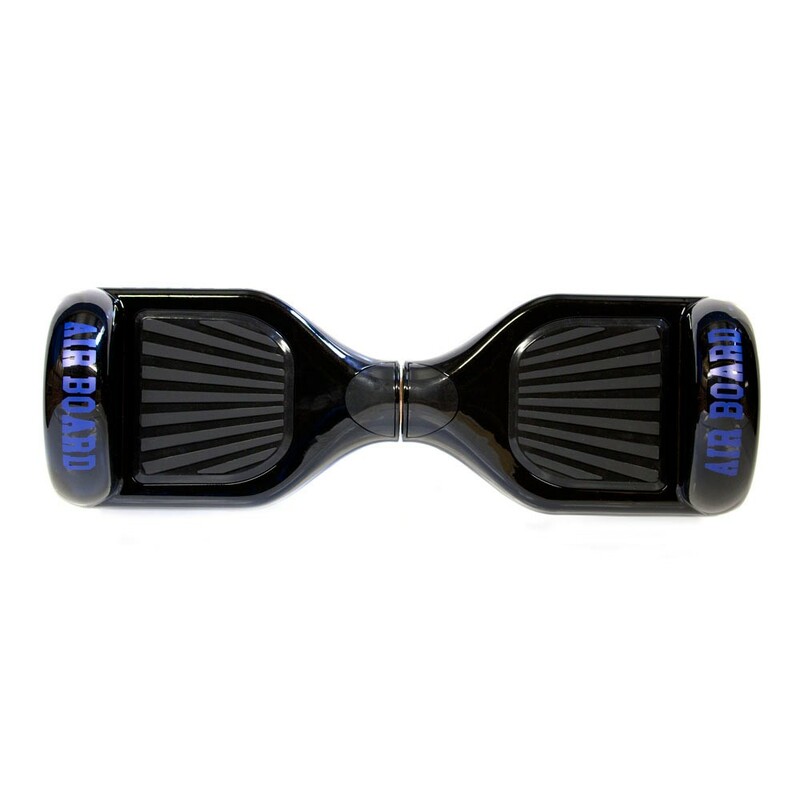 It contains pressure sensitive pads which picks up on how your weight being transferred and allows Airboard to do the rest. Lean in the direction you wish to go just by pushing your toes down and you are off! Full 360 degree turning and self balancing technology mean that its super easy to ride and you’ll be surprised just how quickly you pick it up. 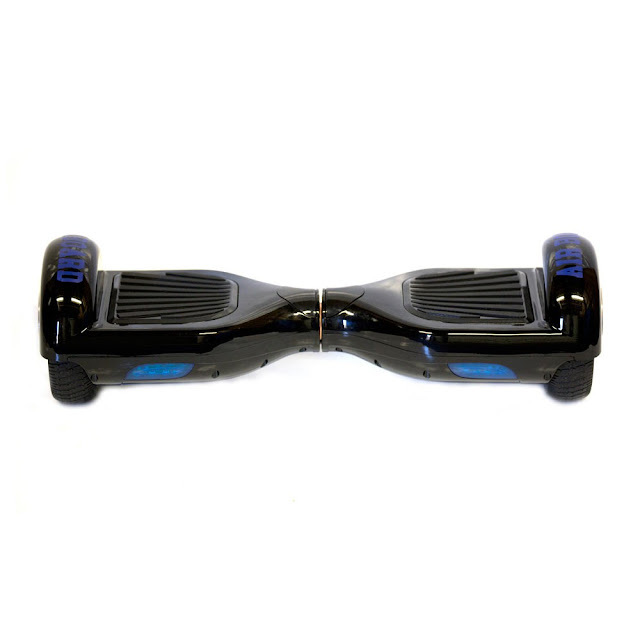 The board is extremely durable and the rubber wheels mean there is zero chance of a puncture. The top speed is an impressive 8 MPH and the distance this marvel of technology will travel is between 7-9 miles. Its fairly weighty at 10kg but that goes to prove the excellent build quality. Once your fun has ended it takes a mere 60mins before you can hop back on.